New Berlin, NY ~ The summer break is over, cooler weather is just around the corner, and what better way to celebrate than a GNCC race at the famed Unadilla Raceway. Since it’s debut in 2005, “The Dilla” has been a must race track for our riders and this year proved to be just as spectacular with almost 420 quads signed up in the morning race alone. The fans in New York always provide a great atmosphere for racing and if you are ever looking for the chance to get out of the woods and into the air, this is the place to do it. 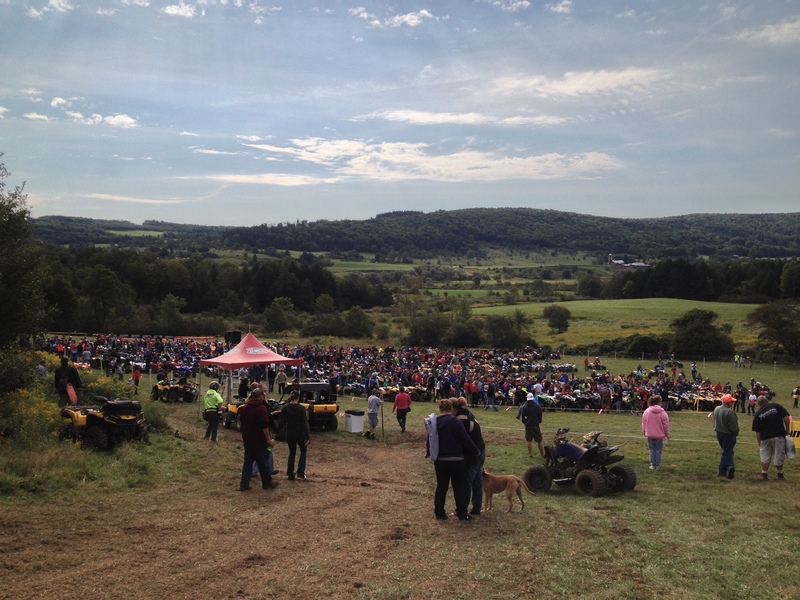 New Berlin, NY – The summer break has come to an end and we are back in full swing with GNCC racing. I can’t think of a better track to kick off the fall racing action than “The Dilla”! The Unadilla Valley Sports Center is home to a world famous motocross track that features such obstacles as “The Sky Shot” and “The Gravity Cavity”. Combine that with the black loamy soil and wide open trails, you have a recipe for a rough yet extremely fast paced XC race. This track has a reputation of attracting a large number of riders and this year was no exception. 361 racers signed on the dotted line for the morning quad race along with 218 brave souls in the afternoon. Add to that the huge number of Sunday bike racers that showed up early, the hardy New Yorkers who heard there was a party, and you have one exciting day of racing. Unfortunately, it was an exciting day of racing that many SBR riders had to miss out on this year. Injuries and prior commitments kept 5 of our 8 riders away but I hear they were glued to gncclive.com throughout the day.